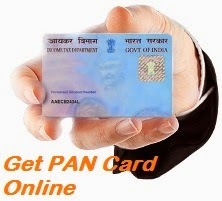 Apply new pan card online in india - how to apply? Are you a taxpayer? now would like to apply for new PAN card! Follow the below-given process with screenshots for easy understanding of online application process to PAN card. As we know PAN (Permanent Account Number) is a 10 digit alphanumeric identity card and this will be issued by the Income Tax Department under the supervision of Central Board for Direct Taxes (CBDT). Every individual who is earning supposed to have PAN card to make financial transactions above certain limit PAN is mandatory.PAN is not only for his/her self-benefit it also helps in nation growth also it can be used as Proof of Identity. Now Income Tax PAN Services Unit has an online portal which helps one to apply for PAN card online here in this portal before continuing application process one can get guidelines for filling PAN application form.There are 11 categories of applicants based on profession one can choose one of these 11 categories. Once have a glance at below snapshots for the complete application process. how to apply for new pan card online? Fill up the application form and select mode of payment. Do payment and download and print application form and attest photograph and sign. Get detail of your pan status by know your pan card status to be aware with your pan card. If someone applied for PAN card and want to know their PAN card status, then you can know by various tactics. You can Know Your PAN by Date of Birth, by name and by acknowledged no. Thanks for information sharing,Just wanted to know if some body is using 2 PAN cards to save the taxes what action is been taken by the authority and what are the charges.